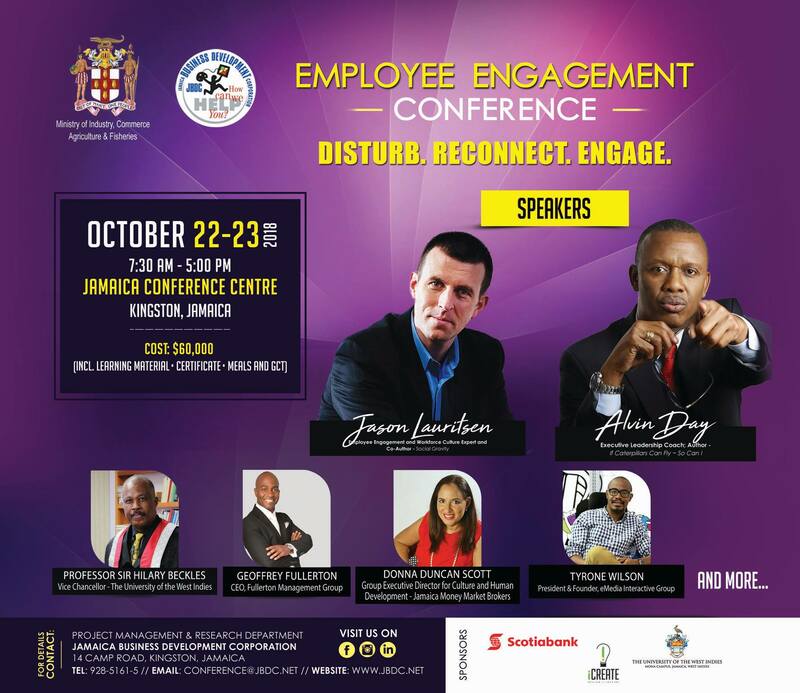 Jamaica Business Development Corporation second annual 'Employee Engagement Conference - Disturb, Reconnect, Engage'. Speakers will include Jason Lauritsen, Alvin Day, Sir Hilary Beckles, Geoffrey Fullerton, Donna Duncan Scott, Tyrone Wilson and many more. Registrations cost of $60,000 is inclusive of learning materials, certificates and meals.